Background/Info: German artist Tommi Stumpff (real name Thomas Peters) got some fame in the 80s. His famous hit “Massaker” released on the “Ultra”-album rapidly became an EBM-hymn. 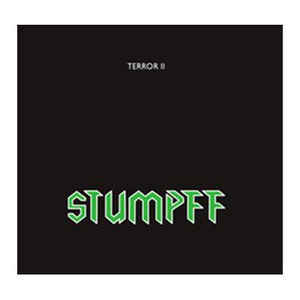 “Terror II” was the second full length by Tommi Stumpff originally released in 1988 on No Dance. The album has been now re-edited and for this occasion remastered. Content: Re-discovering an album 20 years after his original release always is something tricky. But “Terror II” hasn’t really lost of its original magic. The harder cuts dealing with EBM are still very efficient. Other cuts reveal a softer and ambient-like side although accomplished with some epic- and cinematographic arrangements. Tommi Stumpff composed his music without real compromises, which resulted in a varied composition. The lyrics are sung in German, but also in French (the artist seems to have lived in Brussels and Paris) and English. + + + : Stumpff had his own sound approach, which was clearly different from other 80s bands. 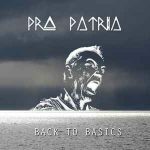 His work was driven by eclecticism and hasn’t lost (except a few tracks) the original impact. “Eliminator”, “The German beat” and “Meine Sklavin” are still pretty kicking. “Terror II” is a fascinating release composed by an artist we maybe sometimes forget to mention when it comes to mention 80s idols and legends. It could be interesting to see more releases from this artist getting remastered and re-released. 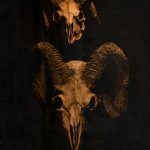 – – – : As I already said there are a few cuts on this album, which suffer from the weight of time, but globally speaking it consists of a very few exceptions. Best songs: “The German Beat”, “Eliminator”, “Terror II”, “Robots Kill The Japanese”.